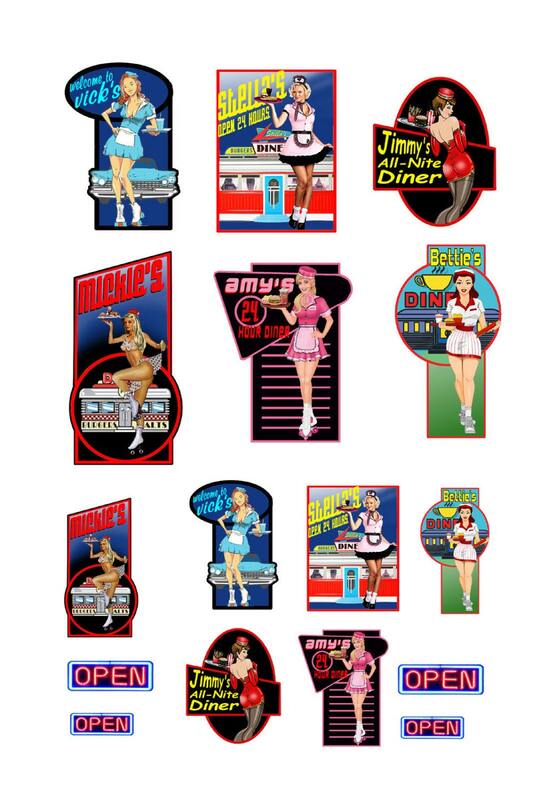 This is a sheet of car hop diner movie signs for N scale railroad layouts and dioramas. This sheet includes 16 signs printed on photo paper using photos dyes for durability. These signs must be cut out and cemented in place. The car hop signs measure approximately 1 5/8" to 7/8" tall. These are scale signs for scale models. They are not real signs.